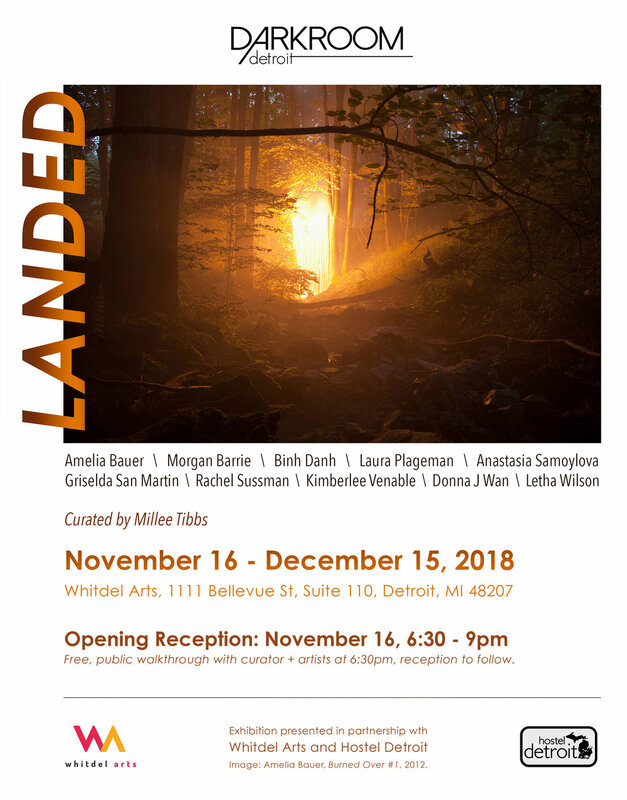 Curated by Millee Tibbs, LANDED explores contemporary landscape photography through the work of present-day image-makers who confront and undermine the heroic Westernized gaze upon the landscape to disrupt our expectation of a romanticized ideal. The exhibition brings together works from artists and photographers from across the country and internationally, many of them showing in Michigan for the first time. Exhibiting artists include: Amelia Bauer, Anastasia Samoylova, Donna J Wan, Griselda San Martin, Kimberlee Venable, Laura Plageman, Letha Wilson, Morgan Barrie, Rachel Sussman, and Bihn Dahn.